Your weekly streaming pick isn’t for the faint of heart. 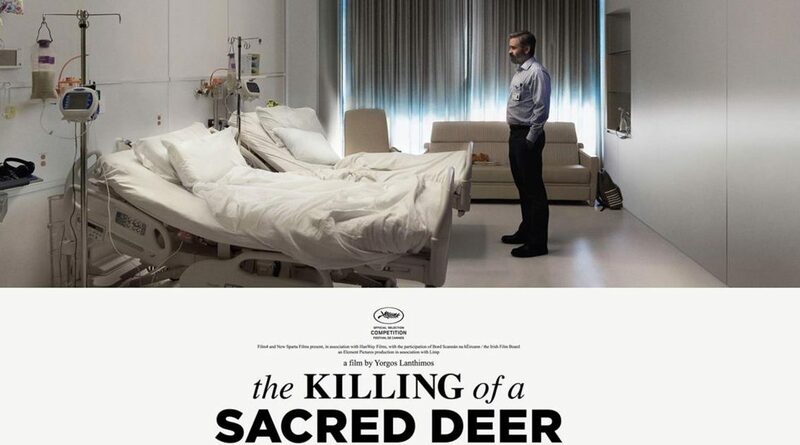 Yorgos Lanthimos follows up 2015’s The Lobster with another odd and unsettling movie, The Killing of a Sacred Deer. There is no measure of levity this time around. The uncomfortable way the story presents itself elevates with heavy subject matter. 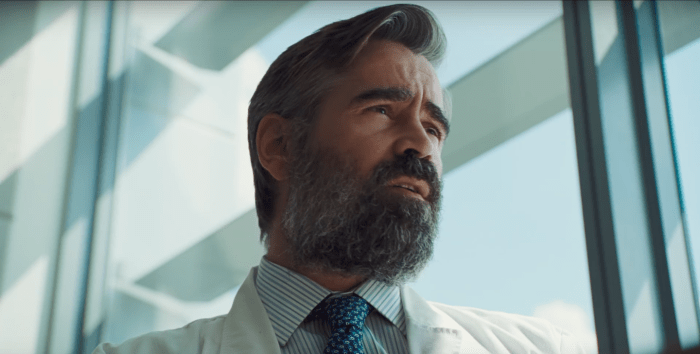 Steven Murphy (Colin Farrell) is a talented surgeon. He’s respected in his profession and loved by his family. Steven begins an unlikely friendship with a teenage boy named Martin. Martin’s father was lost on Steven’s own operating table. Martin appears to be kind and giving. There is always the feeling about him that he is holding something back. Martin doesn’t want to be friends with Steven but wants Steven to be part of his family. When Steven explains why this can not happen Martin’s true intentions come out. Sophie’s Choice, is a 1982 film about a mother (Meryl Streep) forced to make an impossible decision. While Sophie’s Choice is a true life story the movie is the closest parallel to Sacred Deer. The term ‘Sophie’s choice’ has gone beyond the movie. It’s an accepted expression in our everyday culture. The choice, and the way it’s all presented will burrow under your skin in much the same way. Martin and Steven have an uncomfortable showdown throughout the movie. This match of the minds is understated, and under performed. There isn’t an old fashioned show down or face off keeps you on the edge of your seat that much better. The movie is pure anticipation shot and captured with a camera. Colin Farrell’s career is all over the map. His big blockbuster outings aren’t always the best but he’s exceptional in these quieter projects. The weight of his character is in every frame as he battles with the impossible. The stress his character undertakes is palpable. His character degrades in a way as the story progresses. Conversely, his performance gets stronger. Before 2017 you may not have noticed the young actor who plays Martin. 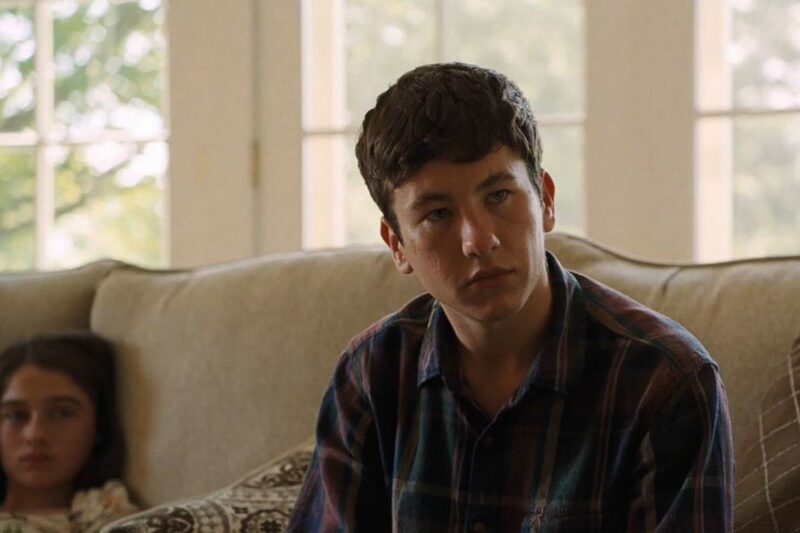 Barry Keoghan had done some small, but solid work in a few projects. 2017 he delivered memorable performances in Dunkirk and The Killing of a Sacred Deer. He switches from respectful kid to chilling psychopath with chilling ease. His manipulations and deceit are scarier than if he pulled out a gun and waved it in the faces of the Murphy family. Even through all the terrible actions of his you are magnetized to the young man. The movie is a chess game between Farrell and Keoghan but the supporting cast shines as well. Nicole Kidman plays Steven’s wife. Her career seems to have slowed down in recent years (this is very relative). Even with her limited screen time Kidman shows she’s still an A-List talent. Raffey Cassidy and Sunny Suljic play the Murphy children. The kids are a massive part of the story and play their roles wonderfully. The relationship between the two of them raises some questions of their own. The Killing of a Sacred Deer is a work of art. Even the larger than life moments are believable between the skill of the actors and the almost mundane way they are shot. Each shot is still, sterile, and purposeful. The grounding of the project as a whole is captivating in its minimalist way. You won’t be able to let go at any point and the movie sits with you long after the credits roll. Brilliant as this movie is there is no denying it won’t work for everyone. It’s odd. The camera sits stagnant. The performances are far from natural. The strangeness of the movie helps it work. Leave any preconceived notions you have behind and give Sacred Deer a real chance. Respect the medium. Keep your phone off and let the intricacies of the project grab you.